Trying to give medication via syringe to a small baby is no easy task! It’s a struggle I am very familiar with. Jessica has needed medication several times a day since she was born. Trying to give that medication in the early days was challenging at times. Fortunately, she got used to it very quickly and we’re both pros at it now. We had a similar struggle with giving Calpol to Sophie when she was a baby – until she started noticing Jessica taking medication without a fuss regularly and then it became easier. 1. Tell us a little bit about you and your family. My name is Dora, I am a mum of two wonderful boys, 5 and 7 years old who are the inspiration behind MEDAPTI. I work part time as a database manager, so completely unrelated to product development but throughout my education and career, I always had passion for creative tasks. I have always loved problem solving and making things. I have had an IT role for the last 12 years but along the way I did different courses trying to find ‘the thing’ that I would like to do for the rest of my life. I never managed to find anything that I felt really passionate about. MEDAPTI is different, I thrive on the excitement of turning an idea into a reality and love every minute if it. 2. What prompted you to create MEDAPTI? When my boys were little, I found it really difficult to give them medicine. My first one was on reflux medication for many months and I always used to worry about hurting his gums with the regular syringe but I had an even bigger issue with my second baby. He completely refused to take the medicine. He would pull away, cry uncontrollably and spit the medication out. It was almost impossible to give him the medicine. We always had to hold his arms tight and force the syringe in his mouth. Medicine dummy helped but as he didn’t like dummies, I had to use the plunger to dispense the medicine and on many occasions I accidently shot it too fast down his throat and made him choke. I was also always worried if he got the correct dose as many times medicine would end up on the floor, all over me or the baby. There were so many times I would walk around the room rocking him to calm him down, crying myself a lot of the time, thinking that there has to be a safer and more effective way. One day I decided to come up with the solution myself and that’s how the idea of MEDAPTI was born. 3. How does MEDAPTI work? MEDAPTI doesn’t change the use of the syringe in any way, you fill the syringe with the correct dose of medicine as normal and then just slip MEDAPTI on. 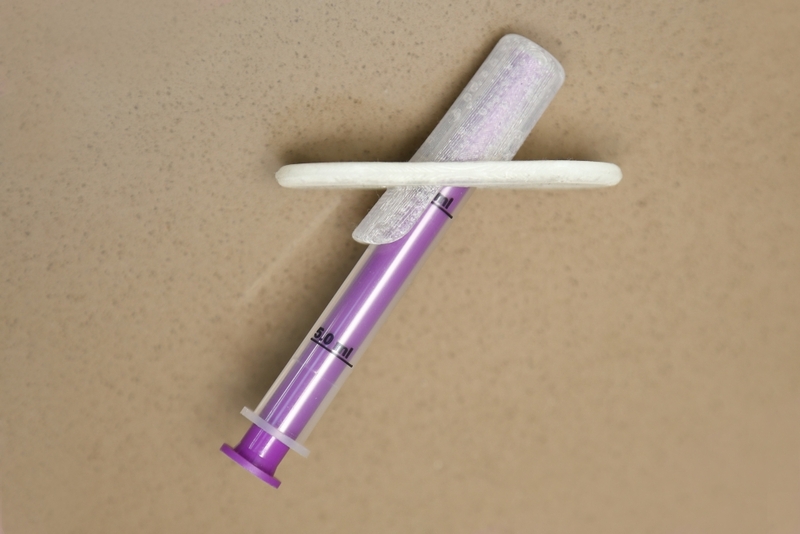 It is designed in a way that you can easily put it on the syringe but it won’t slip off. 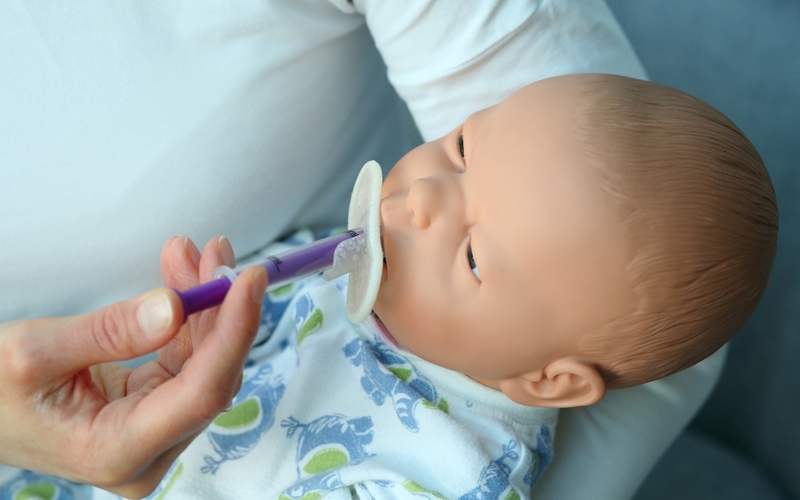 You place MEDAPTI inside baby’s mouth exactly the same way as you would the dummy with the guard against baby’s face but as the tube where you insert the syringe is at an angle, the syringe is automatically directed to the side of baby’s mouth. 4. What are the benefits of using MEDAPTI? MEDAPTI minimises the risk of baby choking on medicine, it also helps to avoid taste buds and makes it harder for baby to spit the medicine out. Even if the baby is wriggling or refusing to take the medicine, MEDAPTI is not only soft on baby’s mouth and gums but also helps you to keep the syringe inside baby’s mouth, minimising the risk of medication being squirted outside or syringe going too far down the throat. MEDAPTI is also incredibly simple to use and you only need one hand to dispense the medicine, leaving you with a free hand to hold your baby. 5. How has your product been received so far? Something I am especially proud of is the fact that I had interest from health professionals in hospitals like Great Ormond Street Hospital, Alder Hay and Sheffield. 6. What are the next steps for you with being able to produce MEDAPTI? 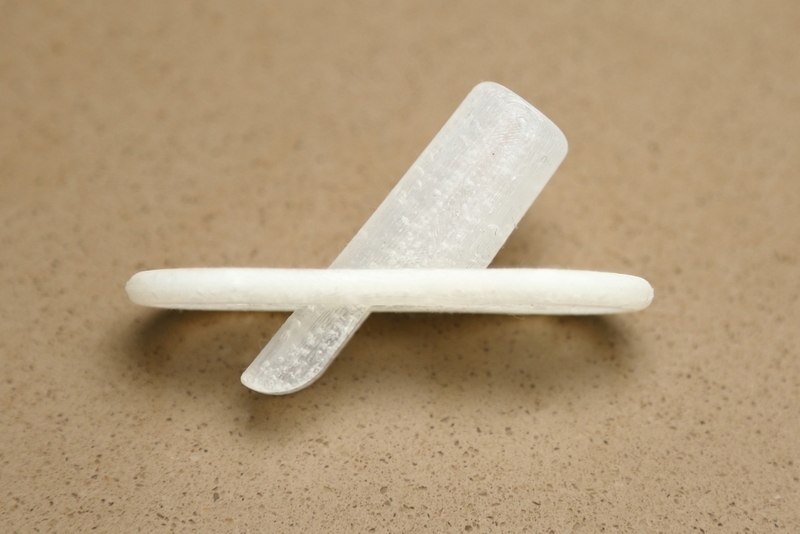 The next step is to raise enough money to pay for the tooling and produce the first batch of MEDAPTI. Thank you Dora for sharing your story about how you were inspired to create MEDAPTI. If you are interested in helping to support Dora to produce the first batch of MEDAPTI, you can find out more here. You can also connect with Dora through Facebook and Twitter.